Graflex.org :: View topic - Oh no! Another Kalart topic! Oh no! Another Kalart topic! Posted: Wed Jun 18, 2014 5:37 pm Post subject: Oh no! Another Kalart topic! After a long time of reading and searching on this (wonderfull) forum, I finally decided to open an account to ask my question concerning the Kalart Rangefinder. It's not a focussing issue. I've managed to focus the Kalart rangefinder perfectly with the manuals out there. My problem is the horizontal alignment. I don't have any problems getting it aligned, but as soon as I mount my rangefinder housing on top, that's when things get shifted. The rangefinder housing seems to press on the insides. When I tighten the housing, I can see the mirror image move out of alignment. Also, my version seems to be a simplified one, without the tightening screws. This also means that there is no lever on the left mirror to use the external alignment screw. Am I missing something? Does there need to be some sort of paper gasket underneath the housing and the camera body? It is seriously frustrating, not being able to get a decent focussed image. I attached some pictures, so you can see the simplified rangefinder. I haven't found anything about this particular type online, but it's pretty self-explanatory compared to the previous one. The more simplified the mechanism the newer the version of the rangefinder. 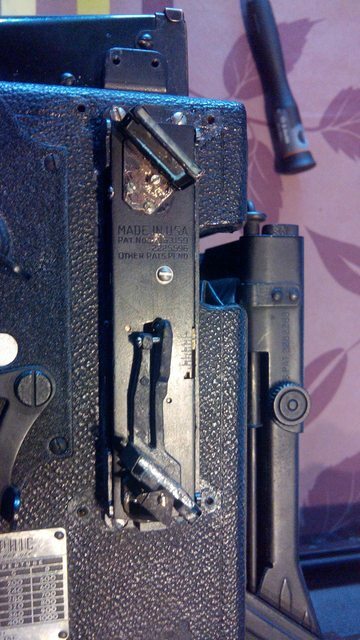 The problem is yours is missing the lever on the lateral alignment screw. The lever fits tightly on the screw head and is long enough to be contacted by the external adjuster. The external adjuster is a fixed shaft that just rotates in the housing. The inside of the adjuster has an offset pin end that will contact the end of the lateral adjustment lever and move it forward or reward depending on the direction the external adjustment is turned. 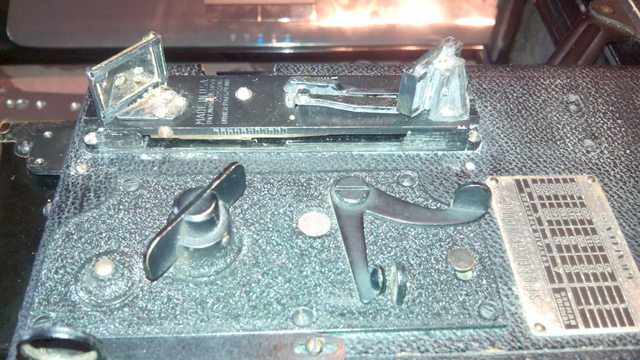 This adjustment is meant to be a "fine tuning" of the mirror once the rangefinder is assembled. You should be able to fabricate a lever from thin rigid flat metal or from a length of the wire from a medium to large paper clip. You should be able to bond the lever to the screw head with solder or a product such as JB Weld depending on what is available in your area. An alternative is to determine the amount of movement when the cover is installed and set the mirror an equal amount off in the opposite direction so that when the cover is installed the mirror adjustment is pressed into correct position. This method may take some trial and error attempts to get it correct. Someone must have removed the lever than at some point in its existence. I will try that out then to make a small substitute lever. I might even try it with a sturdy paperclip and tighten the grip around the screw. Even if it only works for a small amount, that might just do the trick. Apart from this, is it a known problem that the housing pushes it to the other side with these RF's ? No, its more of the materials have a slight amount of give to them. I've had levers slip on the screw and base plates warped .010 to .020 inch when removed from the camera body but went back to perfectly flat when attached to the camera body. It would be a problem if the materials dimensional shift was not accounted for. 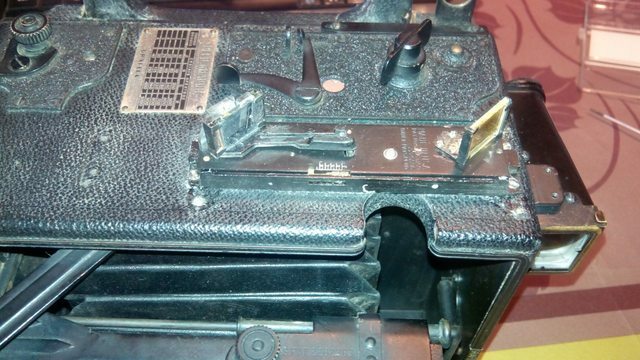 You could drill a small hole in the cover over the adjustment screw so the screw could be adjusted when the cover is on but the hole would need a seal to prevent contaminates getting inside. I might be in luck then. 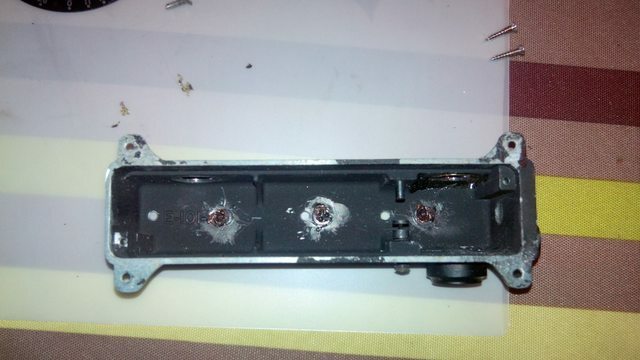 On top of the RF housing, there is a bracket for the flash mount . If I were to drill a small hole in there, just above the screw, all I have to do is simply re-attach the bracket and the hole would be covered up again. I would seal it with a silicone rubber sealant. Finally able to post again. Update: I tried it with the screw hole on top. I was able to knock the copper fillings right out. The old threads are even in perfect condition. The screw-hole was right above the adjustment screw. Probably engineered this way. Unfortunately, when I trie to set the horizontal alignment, the difference is too big and it tampers with the distance kalibration. For now, I'm using it as is. RF is good. Pictures are sharp. Just have to look twice to check it's at the right setting. Maybe in the future I'll align it horizontally with the cover on, and callibrate it misalligned with the hood of.